I am a stay at home mom, where my schedule really revolves around my kids scheduled activities, their meals and the housework. I’ve had really low energy lately, dragging from one activity to the next and always resting while they nap in the afternoons. I wanted to get my energy back and feel more eager to do fun things and work on some personal projects during nap time! I decided to prepare a handful of healthy snacks ahead of time, so I can better take care of myself while taking care of my daughters. 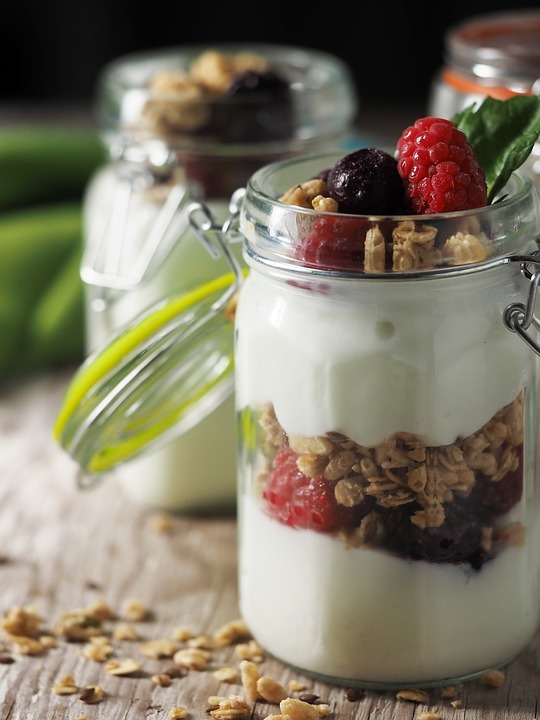 Homemade Granola with Vanilla Yogurt- I make a huge batch of granola and then just keep it in a Tupperware, always ready to eat with some yogurt and fresh fruit. A Giant bowl of Bite-Sized Fruit- A fruit salad works as a side for every meal, or as a simple snack! Remember to store it with a lid so the fruit doesn’t pick up the scents and flavors from other items in your refrigerator! 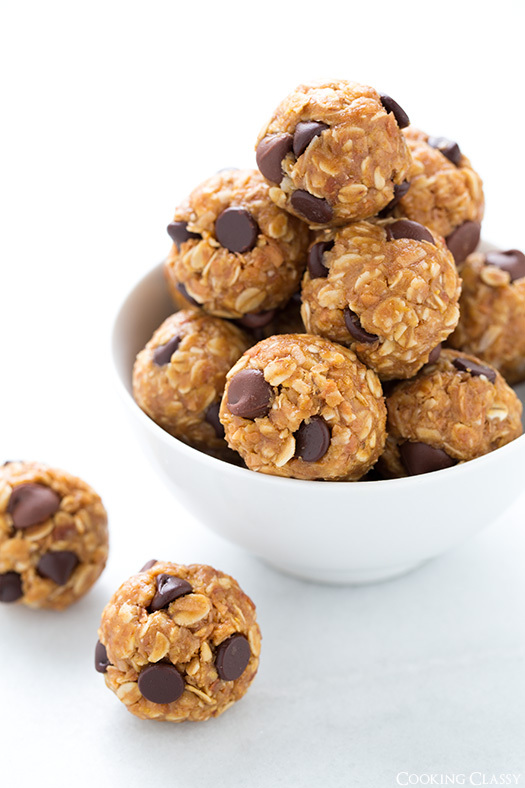 No Bake Oatmeal Energy Bites- Really easy to grab and pop, at home, work, or on your way out the door! Celery and Baby Carrots with Peanut Butter- Prepping your celery at the start of the week makes it a realistic snack when you’re suddenly starving and don’t want to “make” anything. Bag of Nuts- Portion out little bags of mixed nuts (and throw in some Craisins!) so you can pick one up as you’re leaving the house. 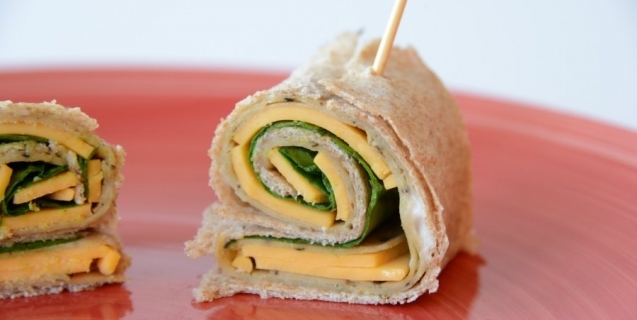 Turkey and Cheese Roll Ups- These are filling and fast, great little snacks to have around. They can even substitute for lunch when you’re in a pinch! I cut the meat and cheese in even strips, roll them up together and secure with a toothpick. Smoothie Bags- I keep Ziplocks full of frozen strawberries and mango, ready to partially defrost at a moment’s notice and blend into a smoothie. And I always have cans of Kerns fruit nectar on the shelf to use as a liquid base for my smoothies-- I throw in a few Tablespoons of yogurt if I have it too! What are your go to snacks? Fill me in on your best secrets!